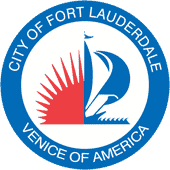 At June 12 General Membership Meeting of the Council of Fort Lauderdale Civic Associations, the members voted to send this correspondence to you regarding the proposed changes to the City-Wide Parking Regulations. Regarding the draft proposal that the City presented at a May 22 Public Meeting, we don’t believe that the one-size fits all approach taken by the City is appropriate. Parking regulations should be more nuanced and specific to their location. While some neighborhoods would benefit from reduced parking requirements for some uses, others may be overwhelmed by inadequate requirements. I will be at the June 20 Planning and Zoning Board meeting and will be happy to answer any of your questions.